Having spent the past few days in Southern California driving endlessly between dazzling, famous landmarks like Hollywood Boulevard and into the dry dessert of Palm Springs, Ali and I decided that it was time to soak up the sun at one of the many exquisite beaches within our reach. We settled on Laguna Beach, lured in by the mix of rugged coastline and soft sandy beaches. We were told that beyond the natural beauty, Laguna is also a home of one of California’s most unique, quirky and creative communities. The mix of commerce, sustainable development and environmental awareness are visible aspects of life in the Laguna. 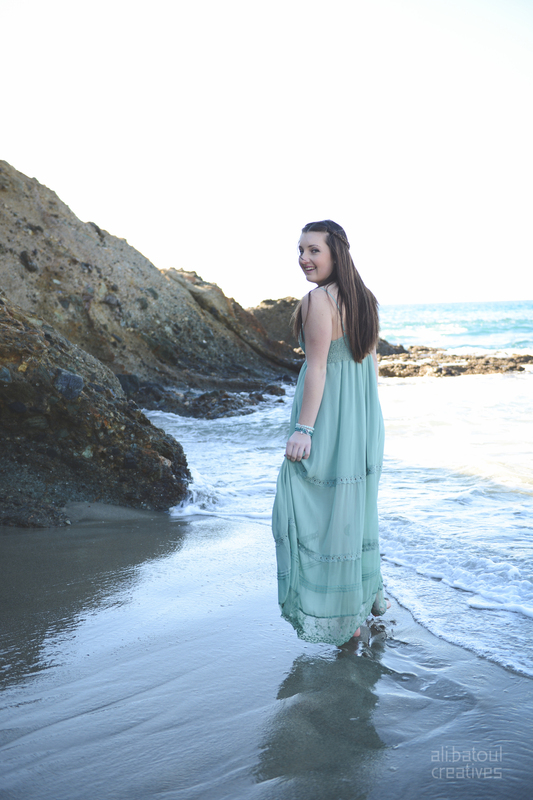 As we set down our beach blanket and stretched out our legs onto the warm sands, we noticed a couple of girls all decked out in long flowy maxi dresses photographing their bracelets using their phones. Being a sucker for all things shiny and at the cost of looking like a bit of a stalker, I approached them and asked if I might help. 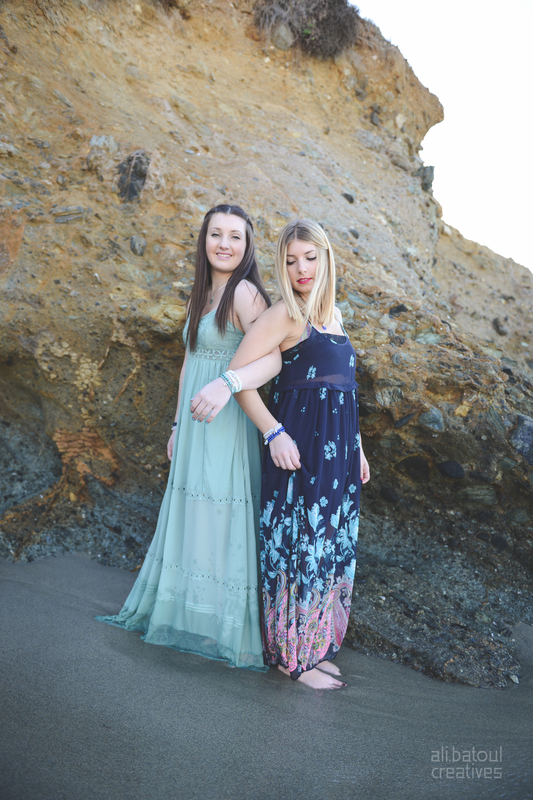 I quickly found out that Olivia and Emily had established a small business designing and hand making unique jewelry using sea glass washed up along the Pacific shores of Laguna Beach. 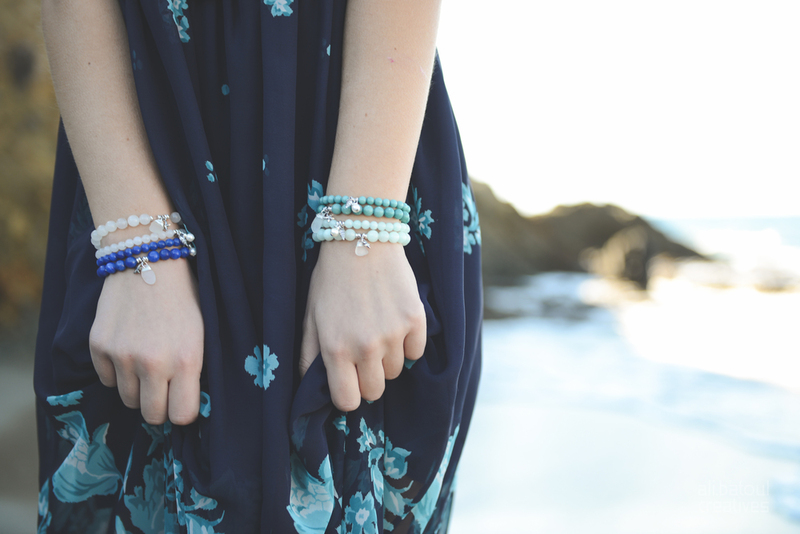 I’ve always been inspired by SoCal’s energy, innovation and entrepreneurial spirit, so I was really happy that our conversation turned into a mini photo shoot featuring their unique creations for Sea Candy Jewelry. Check out their fantastic designs here and on instagram @sea_candy_jewelry.